The film industry can be utilized for more than just seeing movies – you can allow yourself to gain motivation, information and even business advice that you weren’t expecting to find. Finding a movie that will benefit your business shouldn’t like finding a needle in a haystack. There are a number of great films that every entrepreneur should see if you need a little encouragement or advice and don’t know where to turn. Alec Baldwin, Kevin Spacey and Al Pacino should be reason enough for you to sit down and watch this movie – but if that doesn’t convince you, the moral of the story will. “The ABC’s of successful conversions…Always, Be, Closing.” The mentor in the movie does more than he needs to motivate a team of salesmen to begin closing their sales – the prizes for 1st and 2nd place are phenomenal but those who fail to succeed will be fired. This movie is a sure way to motivate and push yourself to close a sale. It is easy to become discouraged or walk away from something you may not believe will be successful, but if you push yourself to work hard regardless of your results, you will always have positive results – even if they are simply learning from your mistakes. 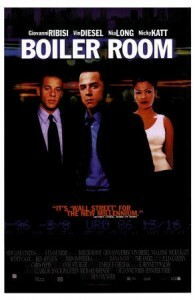 Boiler Room is about a stockbroker who realizes he’s working for a company that is involved with illegal activities. Whether or not you have actually encountered a problem such as this, many business owners have been faced with questions of morality and values. This movie can be helpful for entrepreneurs who are facing challenges regarding their beliefs and standards – it is important to know the things you will do and the things you won’t do. If your beliefs and values stand strong and cannot be budged, the movie can still offer you this: the main character stops at nothing to prove that he can be successful even though he is a college dropout. Allow yourself to gain a little inspiration knowing that you can overcome and beat the odds. This hilarious comedy featuring the late Chris Farley is not only a great way to take a break from business but it actually offers some sound advice when it comes to running a business. 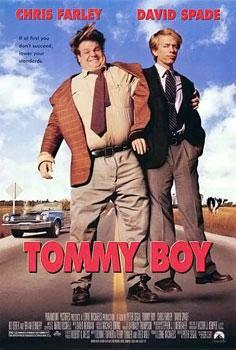 Farley plays a goon who is left his father’s business after he passes – and he must close sales before the business is conned out of his hands by his new step-mother. 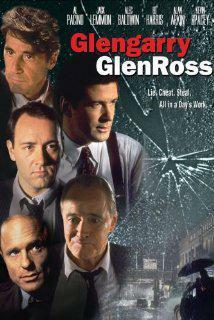 The film will keep you laughing but the moral of the story is clear: never give up! Even after he has been laughed at, failed and even set a client’s office on fire, he continues to chase the dream of success. He learns that being honest and opening up is the key to closing a sale. Once he figures out what works for him despite the challenges he faces, he puts his plan into action and begins closing sales. Watching Farley in action is motivational and certainly makes you take a second look at the method you’ve been using to close sales. 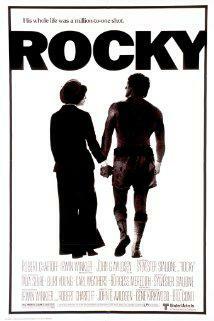 Rocky is probably not your number one inspirational film as an entrepreneur, but it certainly should be. There are a couple of substantial reasons why this movie can be inspiring. Stallone, who plays Rocky, is an underdog in the film; he is basically a ‘nobody’ who goes up against a winner in a fighting match. Many small business owners can immediately relate to being a small fish in a big tank. The competition has already established itself and you are the nobody. Many small businesses begin without support from others, so the opportunity to be successful depends entirely on how hard you work and your positive outlook towards success. Rocky does what is necessary to ensure he overcomes the obstacles he is faced with and proves everyone wrong when he rises above the doubts. Getting exclusive advice for your business may not be what you’re anticipating when you’re watching a movie, but you can learn things when you least expect to. Sign up for your free subscription to Successful Startup 101 to get more exclusive tips for your startup that you wouldn’t find anywhere else.